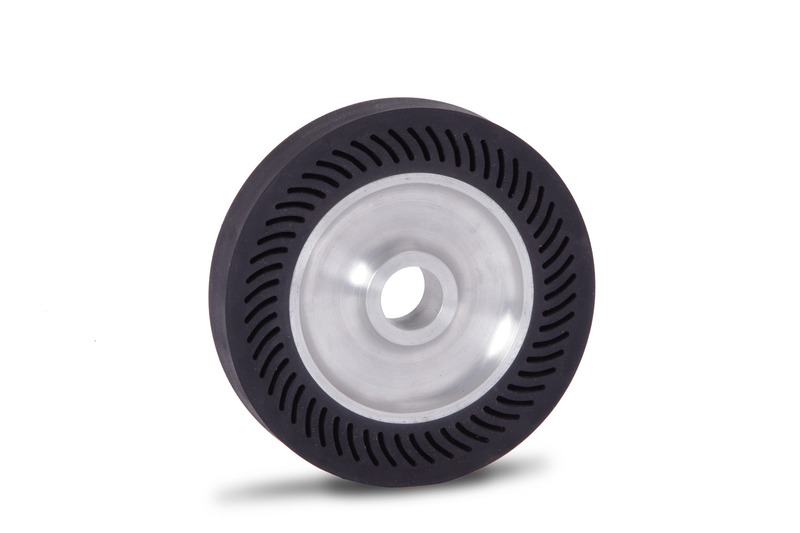 The 6″ diameter plain face expander wheels use a standard 18-15/16″ coated abrasive band. Expansion caused by centrifugal force during the wheel’s rotation holds the band in place. The smooth surface beneath the abrasive sleeve allows this expander to be used for light sanding and contour finishing with fine grit abrasives. Coarser abrasive sleeves may be used for more aggressive stock removal.